An MIT research group that reported nearly three-quarters of Uber Technologies and Lyft Inc drivers earned below minimum wage is revisiting its study after a tweeted challenge by Uber CEO Dara Khosrowshahi. A Massachusetts Institute of Technology research group that this week reported nearly three-quarters of Uber Technologies and Lyft Inc drivers earned below minimum wage is revisiting its study after a tweeted challenge by Uber Chief Executive Dara Khosrowshahi. The study, by the MIT Center for Energy and Environmental Policy Research, found that drivers' median pretax profit was $3.37 per hour, using results from a survey of more than 1,100 workers of the ride hailing companies. Uber and Lyft have been battling complaints that they underpay their drivers. Uber and other companies have defended their business models saying their drivers enjoy the flexibility of their work and on average earn more than the minimum wage, but have lost a series of court cases on the issue. 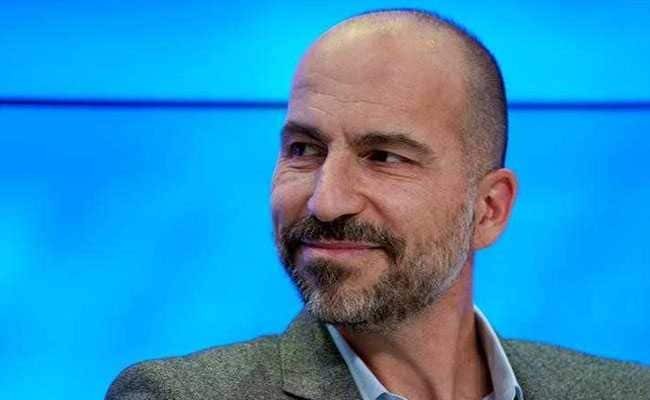 Khosrowshahi criticized the MIT study in a tweet on Friday as "Mathematically Incompetent Theories (at least as it pertains to ride-sharing)," and linked to a response by Uber chief economist Jonathan Hall that challenged the study's methodology. Hall's rebuttal to the study said the likely misinterpretation of a survey question and the study's "inconsistent logic" produced a wage result that was below similar studies elsewhere. He said the study used a "flawed methodology" compared with a survey that found drivers' average hour earnings were $15.68. "The earnings figures suggested in the paper are less than half the hourly earnings numbers reported in the very survey the paper derives its data from," wrote Hall. The MIT study's lead author, Stephen Zoepf, told Reuters in an email on Saturday, "I can see how the question on revenue might have been interpreted differently by respondents" and called Hall's rebuttal thoughtful. "I'm re-running the analysis this weekend using Uber's more optimistic assumptions and should have new results and a public response acknowledging the discrepancy by Monday," he wrote.